Delight in a cascading waterfall, the reflection of blue sky on the shimmering pond surface, or the tranquil movement of fish in clear water. A Landscapes Etc. 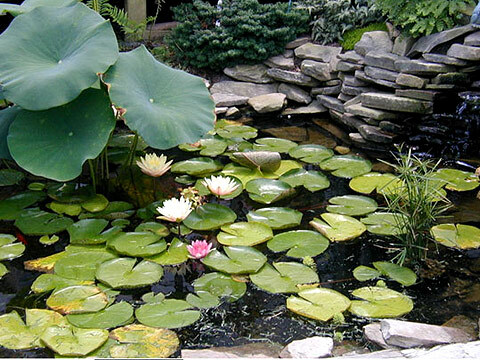 water garden can be yours for less money than you would imagine and with minimal maintenance. 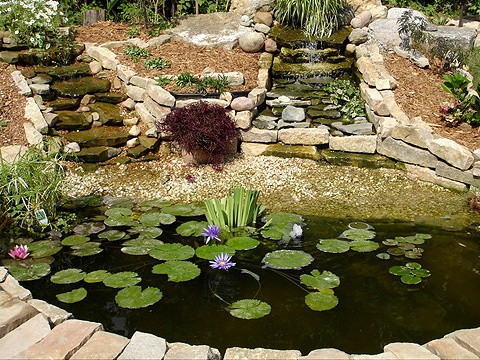 A pond, waterfall and stream is one of the most rewarding home improvements ever. 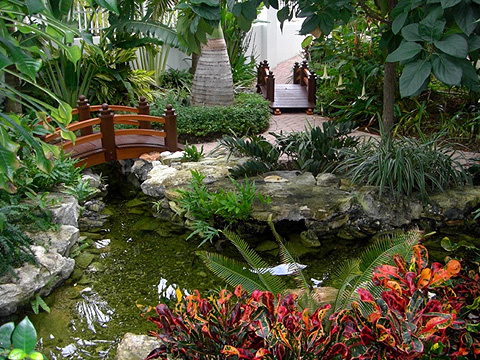 You'll enjoy countless hours of peaceful relaxation beside your own water garden. Landscapes Etc. 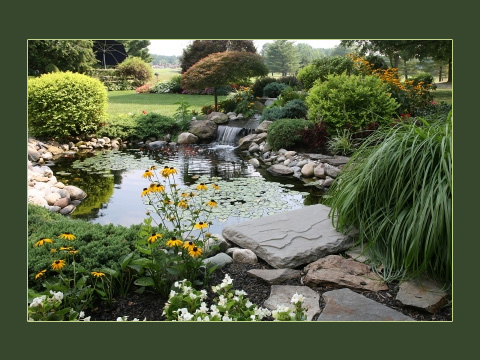 has been designing and installing and incorporating beautiful functioning ponds and waterfalls into landscapes for years. From pond less waterfalls and small garden ponds to large 2 acre ponds with private islands. Our work is guaranteed and our quality is unsurpassed.